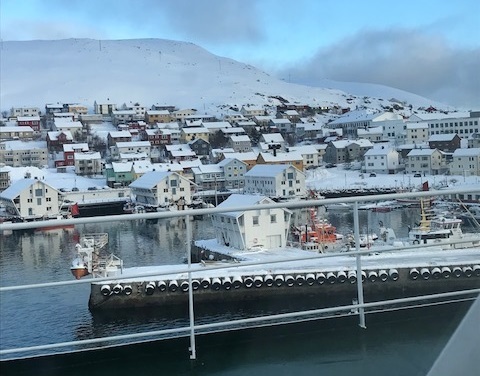 Back in March, Manager of our Norwich travel agents in store at Jarrolds, Emma Livermore, had the chance to cruise through Norway with Hurtigruten. Her report features some spectacular highlights, including a memorable show from the Northern Lights. We flew from Norwich to Tromso with Germania - a charter airline. Seats were comfortable, although there wasn’t a great deal of legroom. The staff throughout the flight were very attentive, helpful and friendly. We had breakfast served on the way out to Tromso and a lunch served on the return – it was more a snack than a meal but it broke up the flight, which seemed to go rather quickly. Hot and cold drinks were also served a couple of times throughout the flight. The hotel itself looked lovely. There’s a large reception area with lots of seating and a beautiful fireplace which made it nice and cosy, especially coming inside from the minus temperatures. My hotel room was quite small but very clean and it had tea and coffee making facilities and a lovely view of the harbour. The bed was very comfortable too. The bathroom, like the room, was small and only had a shower. The breakfast room was very spacious; there was lots of seating as well as a very good variety of food available. There was plenty of hot food and continental breakfast options along with hot drinks and juices. It catered to many nationalities. Being a Norwegian postal/ferry service, I will admit I wasn't expecting too much from MS Nordlys, but I was very surprised. I was really impressed with the ship as soon as I walked on; I knew I wouldn't be walking onto an elegant cruise ship but I loved it. There was a cosy little cafe on board with plenty of seating – great for spending those afternoons sailing and taking in the scenery. The lounges on the top deck were very comfortable too, including the main lounge which was perfect for reading or just watching the world go by surrounded by large windows. The bar was next door with lots of comfortable sofas and great views. The cabins were basic but comfortable and clean. There are is no TV or radio and the beds fold up into a sofa during the daytime, giving you room to sit and relax. Although the lifeboat obstructed most of my view, there was still plenty of daylight coming through. There is the option of having the ships PA system in your cabin. This was very handy while I was there as the captain would announce if the Northern Lights had been spotted, even if it was in the middle of the night. If you do not wish to be woken up, you can just push the button and this will turn off any announcements. A great option if you do not want to miss out! The included meals on board were a buffet breakfast with a good choice and an evening meal. These dinners consisted of a set menu most nights, but one evening we had the famous seafood buffet, which was the highlight for me. The food on board couldn't be faulted; it was fresh and of a high quality. There were no excursions included in the trip, but I did book a few trips myself. A lovely evening out to a Sami camp just outside of Tromso where we had a reindeer sleigh ride underneath the Northern Lights. We got to feed the reindeers and then spend the evening in the Sami tent where we were served Reindeer stew with hot chocolate and learned about Sami life. Snowsuits were provided to wear over our own clothing and coats - you certainly need them and need to make sure you wrap up warm too. A trip from Honningsvag by coach to the North Cape took about an hour each way, but the scenery during the journey is stunning. With all of the snow, it was like we were driving through the clouds. Excursions are weather dependent and you do have to travel in convoy to reach the cape itself. 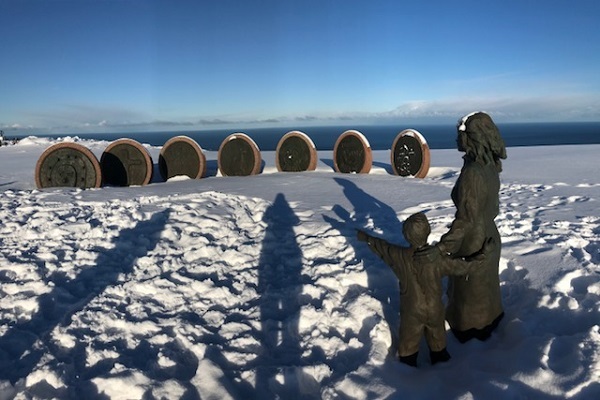 Once there, you have the opportunity to explore the area, see the famous globe monument, visit historical exhibitions and watch a panoramic movie about the North Cape. There’s also a cafe and gift shop. The main highlight is most certainly the views. Another must when visiting Norway. The hotel was fascinating and it still amazes me how fabulous it looks and the amount of work it takes to create. The excursion includes a trip to the hotel and a tour of all the rooms. Each one is different and the carvings on the wall are fascinating; the most amazing part of the hotel has to be the bar as you walk into the entrance of the hotel. The tables, chairs and the bar itself are carved out of ice – even the glasses are made of it. After looking around the hotel, we had time to visit the reindeers and huskies that live there. 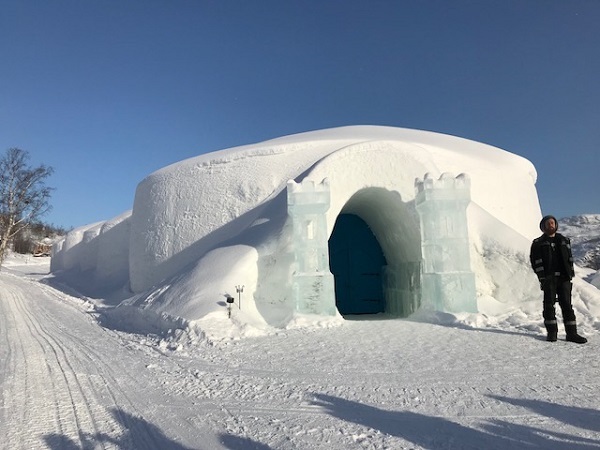 You could also have a husky sledge ride on your visit to the snow hotel. 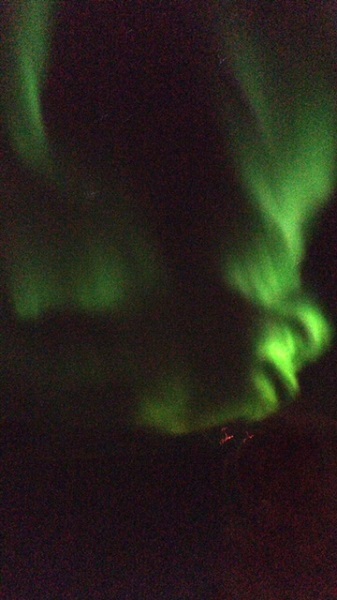 The best part of the trip was how extremely lucky we were to see the Northern Lights. We not only saw them once but they made an appearance on all five evenings while I was in Norway. The best experience was being on the reindeer sleigh ride and looking up to see them over the mountains – a truly magical night. I would certainly recommend this trip to my customers; it’s a great way to sail and explore the coast of Norway without all the glamour of a cruise ship. I believe Hurtigruten really immerse you into the destination and makes you feel like you are truly experiencing Norway, even if it is by sea. The cruise line offers fresh local food, as well as the very knowledgeable expedition team who are on-hand to make sure that you get the best of your experience. The scenery along the way is stunning and you get to see so much more of Norway than on other trips. As well as the main dining restaurant on board, there is a speciality a la carte restaurant available at a cover charge. It’s worth a visit for an evening. There are no dress codes, meaning no formal evenings on board. It’s very casual and therefore perfect if you need to dash out from dinner to view the Northern Lights. Hurtigruten is a Norwegian company and that does mean Norwegian pricing on board. You can expect the drinks to be a bit pricier than you are used to. Excursions are at a higher supplement too as, again, it does reflect the local prices. I would recommend booking these in advance and with Hurtigruten, as you do not want to miss the ship and it runs to a tight schedule. If you would like to sail with Hurtigruten, or any other cruise line, drop by your nearest store to speak to the team. We have travel agents in Christchurch, Dorchester, Bournemouth, Lymington, Westbourne and across East Anglia.